We from Team Psycho Sisters, a UI/UX focused team for EVE Online, have been looking at making skilling up your characters a bit more pleasant in parallel with our work on the Clone States feature coming in the November expansion EVE Online: Ascension. We‘ve focused on streamlining the journey from wanting to fly a ship to buying all the skills and then training them. 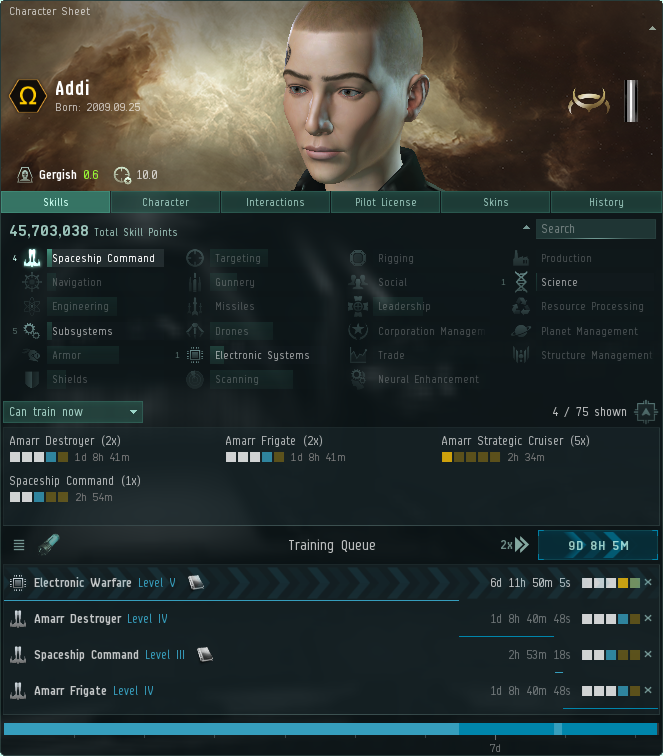 The EVE Online character sheet has undergone substantial redesign. A new and improved header includes your character profile and basic ID at the top. Skill groups are now shown as a bar graph that doubles as an overview of your skill distribution. You can toggle the skill groups one by one and viewing group specific certificates is as simple as adjusting the filter dropdown menu. You can always search across skill groups using the search input above. Other parts of the character sheet are still in their old format, but we have restructured the information and hope to give those panels an update in the future. 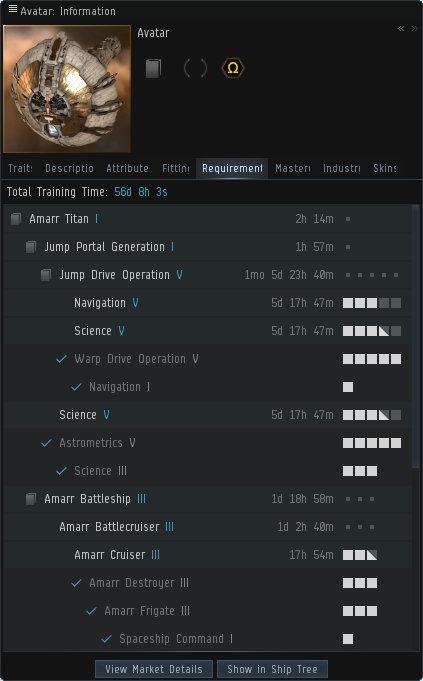 From now on all skill requirements will be displayed in item tooltips, so you will always see what's needed to get into that ship or fit that laser. If an item requires an Omega Clone State and you are in an Alpha Clone State, there is a notification in the tooltip that you need to Upgrade to Omega In order to alleviate confusion. Alternatively, there will be toooltips if you are already in the Omega Clone State, buy missing skill books, or train required skill levels if you already have the right skills injected. We hope that we will eliminate a metric ton of mouse clicks and help you focus on the task at hand—making your capsuleer better, faster, and stronger! We have redone the classic five-box skillbar incorporating more information, requirements, and Omega skill levels. The skillbars are now shown everywhere that skills are listed across the game.